Before purchasing Digital Dog Direct in 2007, Ken spent 25 years working at one of the largest direct mail service companies in the New York metropolitan area. There, he learned all aspects of the business, eventually working directly with some of the company’s largest national clients. His broad background and experience has helped bring advanced capabilities and talent to Digital Dog Direct. Richard A. Ruderman serves as President and Chief Executive Officer of Krieger, Ruderman & Co, LLC, Princeton, New Jersey, a registered investment advisor and fully disclosed broker dealer clearing through JP Morgan Securities Corporation. In addition, Richard serves as President of Fiduciary Management, LLC, Jackson, Wyoming a financial services firm specializing in the management of family wealth and strategies through the use of private trust companies. Richard served as Chief Financial Officer and Chief Operating Officer of Carnegie Hill and its affiliates from 1985 through 1998, prior to the acquisition of Carnegie Hill’s affiliates by Pitcairn Trust Company. Richard serves as Chief Financial Officer and as strategic financial advisor of Princeton South, Inc. (dba Digital Dog Direct f/k/a SHM Mailers). Dave joined Digital Dog Direct in 2019, bringing with him over 30 years of print and media experience. His unique ability to merge high quality art and design with relevant data allows him and his team to execute on complex, high-value marketing programs by customizing messaging and imaging that “speaks” to each individual. Stumped on how to do something? Dave is a natural problem solver who can unleash the power of your Ideas. Jay Adcock joined the IT department in 2000, and has been an integral part of turning it into the multi faceted operation it is today. 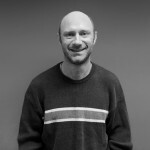 Jay oversees every aspect of IT at Digital Dog Direct, ensuring that work moves through both the data processing and laser areas as efficiently as possible. Jen plays an active role in almost all client interactions. Her creative insights assist in design and her keen eye ensures exceptional quality control with every project. She epitomizes all that makes us who we are — knowledgeable, hardworking, and simply the best in customer service. Jen studied media arts at New Jersey City University in Jersey City. She has been with Digital Dog Direct since 2005. 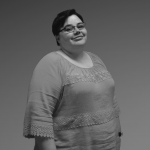 Stephanie’s dedication to the client and work ethic are what make her the dependable account executive she is. 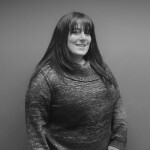 Since September 2012, Stephanie has been serving our clients by working individually with them on a large variety of printing, mailing, and marketing projects. She enjoys working on a team with the other account executives to efficiently meet the needs of the client. 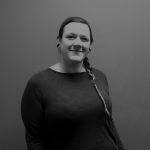 She is Digital Dog Direct’s resident baker and enjoys sewing and time spent with her friends and family. Tom joined Digital Dog Direct at the end of September 2014. He enjoys finding the best possible solutions for our clients every day by using our resources, technologies, and experience. Prior to working at Digital Dog Direct, Tom received his BA in Fine Arts from Ramapo College in Mahwah, NJ. He still enjoys painting and sculpture in his free time at his home in Hamilton, NJ. Travis joined the DDD Client Services team in the summer of 2015. Before that, he spent 8 years in the United States Air Force working as a Logistics Coordinator. His professional experience, partnered with the degree he earned from Burlington County College specializing in Business Administration, makes him an invaluable member of our team. He loves working directly with our clients, bringing his attention to detail and organization skills to every situation. When he’s not providing attentive support to our customers, he enjoys playing bass in a band and spending time with his wife and dog. Chris joined our management team in 2007, shortly after the acquisition of SHM. She is a CPA, CGMA and holds Masters’ Degrees in both finance and taxation from Rutgers University. Chris is responsible for management of accounting and treasury activities, as well as administration of employee benefits. Formerly a senior financial analyst for BASF Corporation, she has taught accounting as an adjunct professor at Mercer County Community College for more than twelve years. Diane is a key player when it comes to making sure things at DDD run smoothly. She prepares all mail statements and drop-ship paperwork and coordinates and schedules trucking. She also supervises the front office, manages our office supplies, helps schedule in-office conferences, and contributes overall support to help our team be its best. Michelle is in charge of greeting people at the front desk, taking calls, organizing postal statements, entering data, and helping to manage invoices. She’s the first voice or face you’ll typically meet on the phone or entering our lobby. When she’s not helping the DDD team stay organized, she enjoys spending time with her kids and her dog. Want to learn more about the team at Digital Dog Direct? Read our Employee Spotlights, a quick look at one of our many great staff members each month. Or, subscribe to our newsletter to receive the Employee Spotlight and other industry news in your mailbox every month.